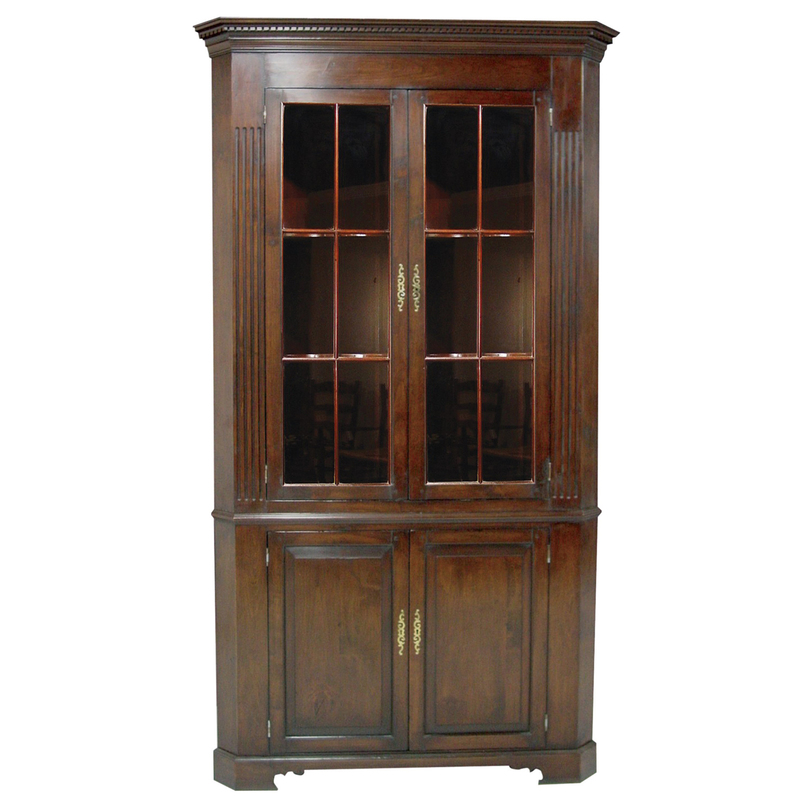 Options: Can be customized. 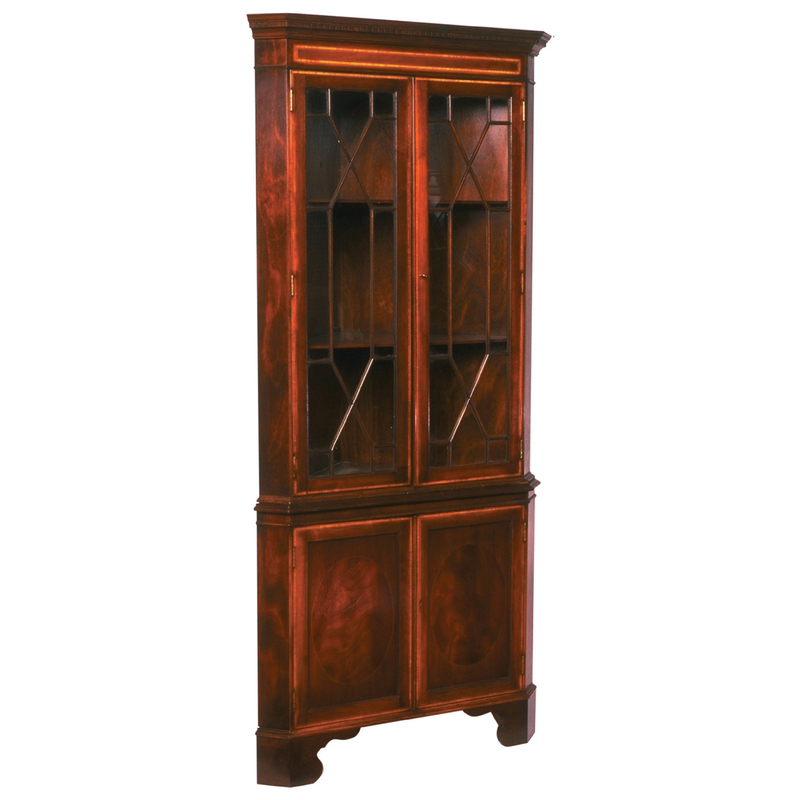 Available in a cherry and oak finish. 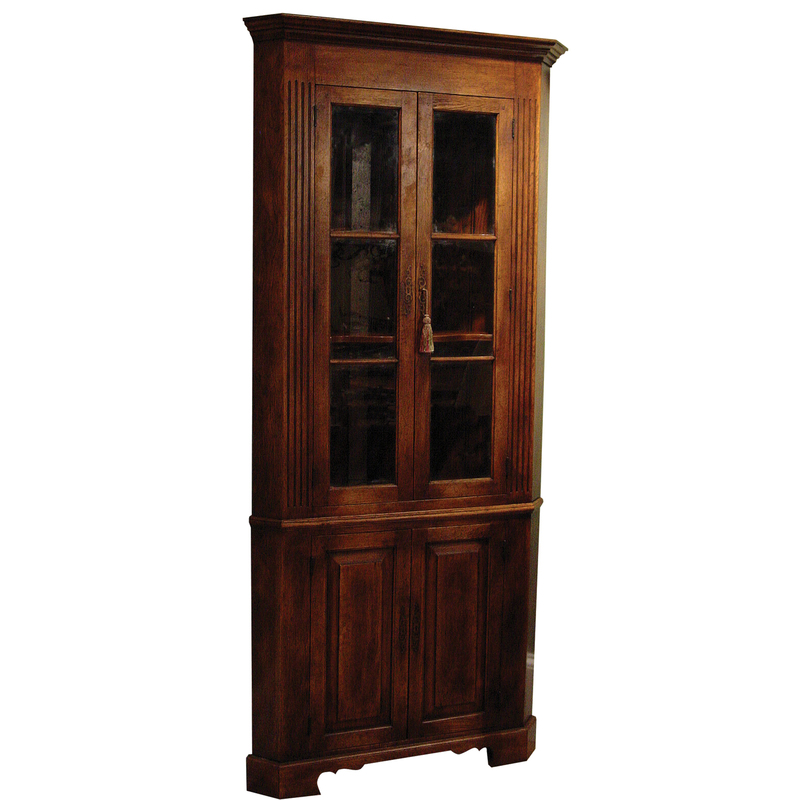 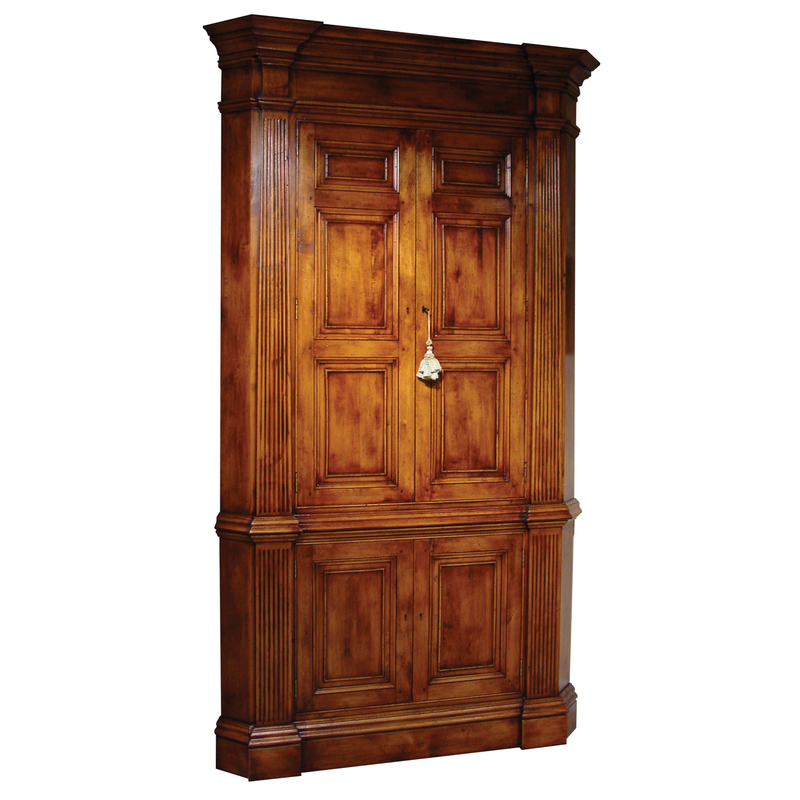 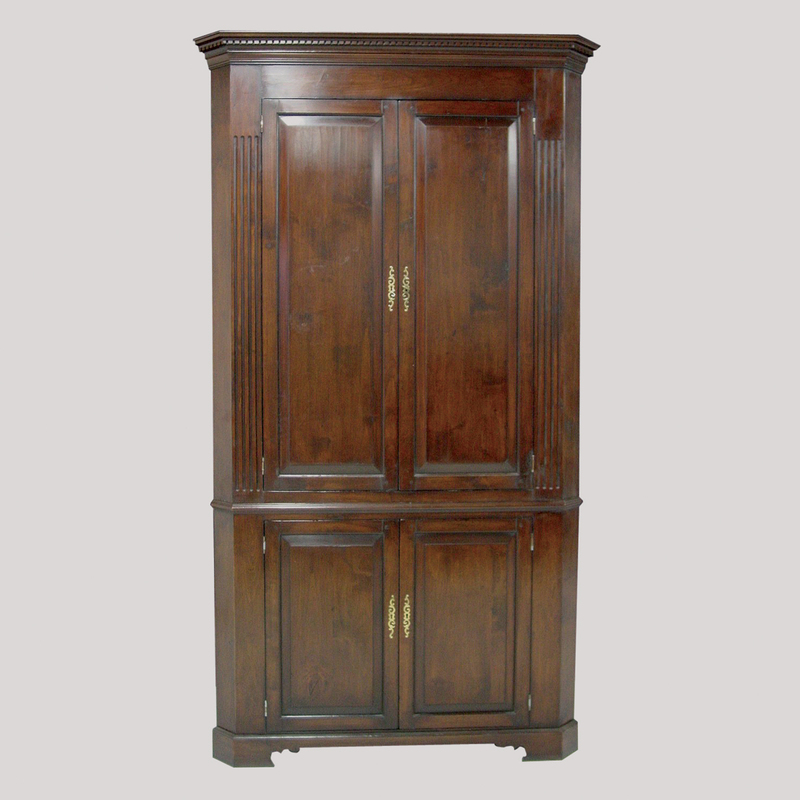 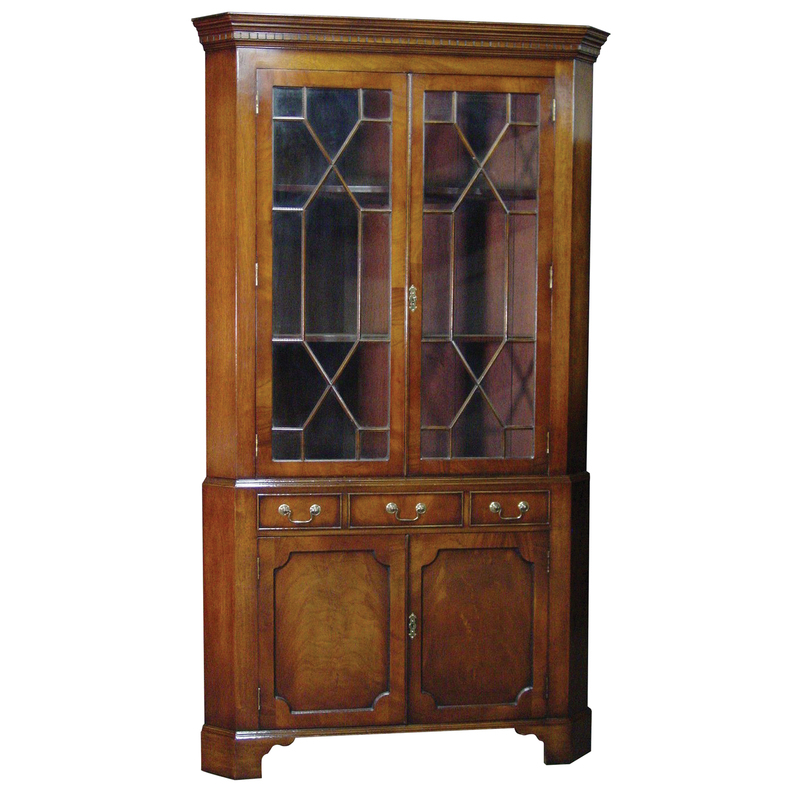 Mid cherry finish paneled door corner cabinet.